Separate catches on each rung for safe and easy use. Can be used at a variety of different height between 0.96M and 3.8M. Closed using Velcro pads for ease of transportation and storage. Ideal for Trade or DIY use. 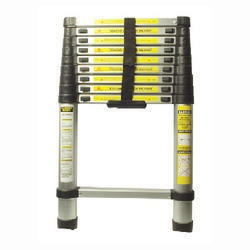 Looking for Telescopic Ladder ?